Atlus' PlayStation 2 demon-fusing RPG Shin Megami Tensei: Nocturne is set to return as a downloadable PS2 Classic later today via the PlayStation Network, Siliconera reports. 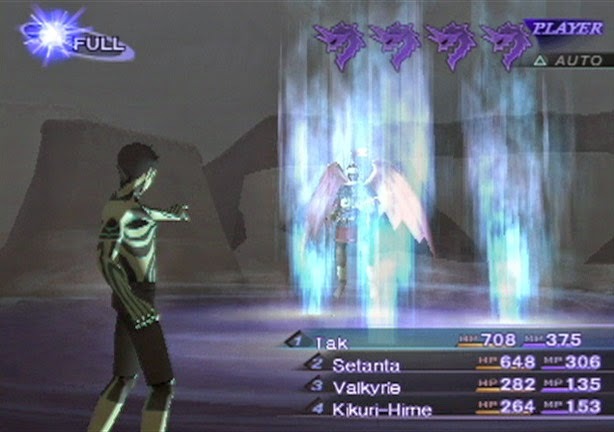 The third core entry in the long-running Shin Megami Tensei series, Nocturne premiered in Japan in 2003, with an enhanced director's cut version arriving in North America in 2004. Gameplay involves befriending and powering up demonic helper characters throughout a series of turn-based battles. A re-release was teased this week before being confirmed by an ESRB ratings submission. The downloadable PS2 Classics version of Shin Megami Tensei: Nocturne will launch at $9.99.